1. Mix 4 parts water to 1 part Weldbond into a small container. 2. 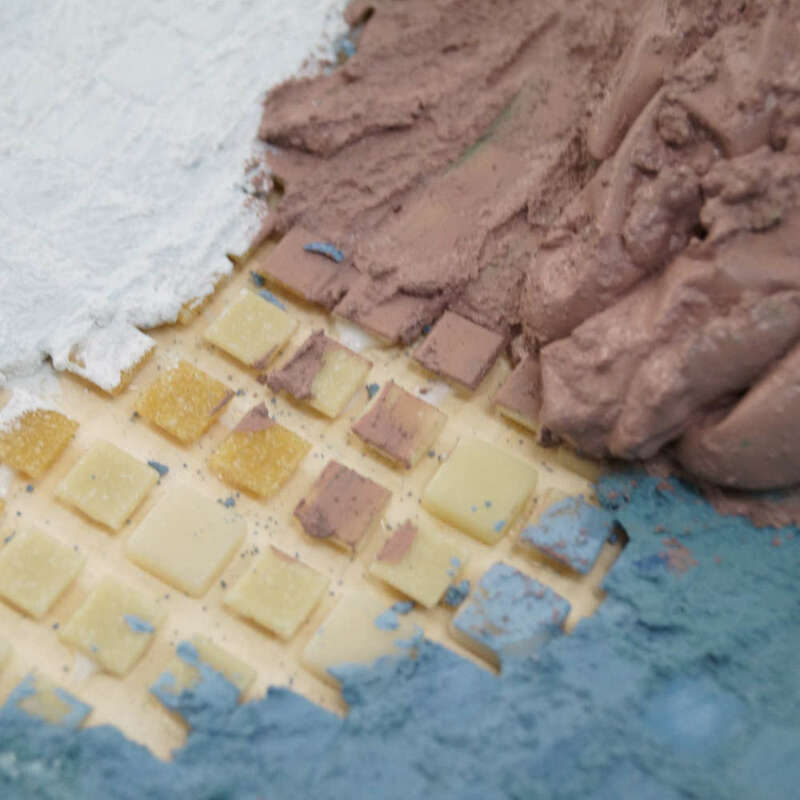 Apply an even, liberal coat of the mixture to your project area surface with a brush. 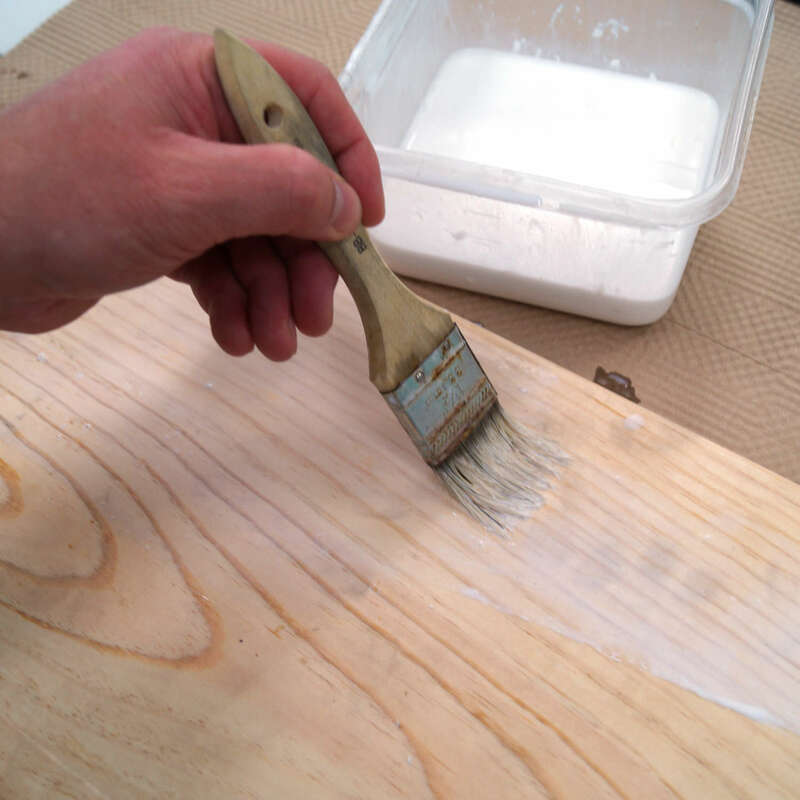 This coating is to seal the porous surface from moisture ensuring optimal adhesion. 3. Layout the design onto the project area. Play with design and colors until you're satisfied. 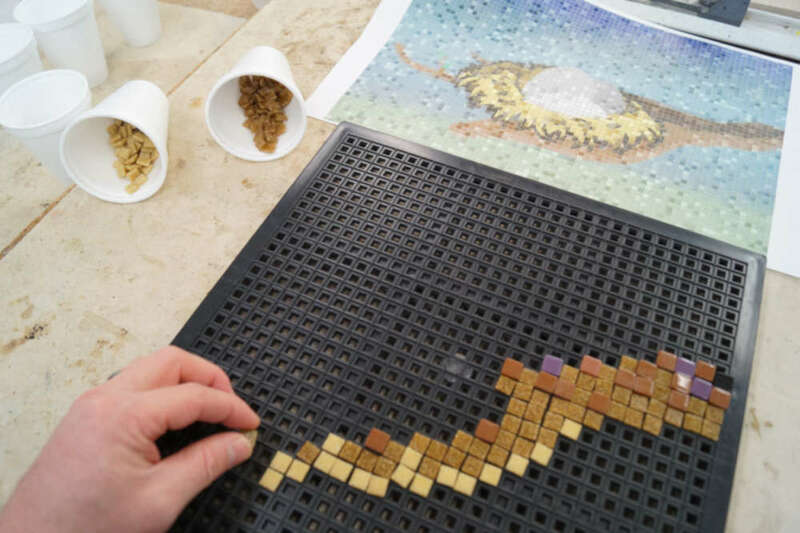 Delphi Tip: Print a copy of your inspiration so it's easier reference when arranging, much like using the box top when putting together a puzzle. 4. 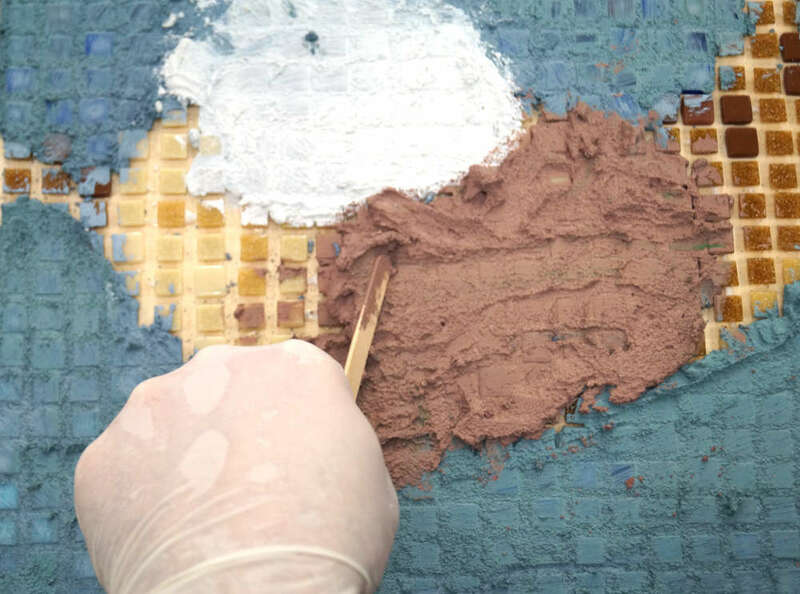 Transfer the tiles to your work surface and glue in place with undilluted Weldbond. 5. 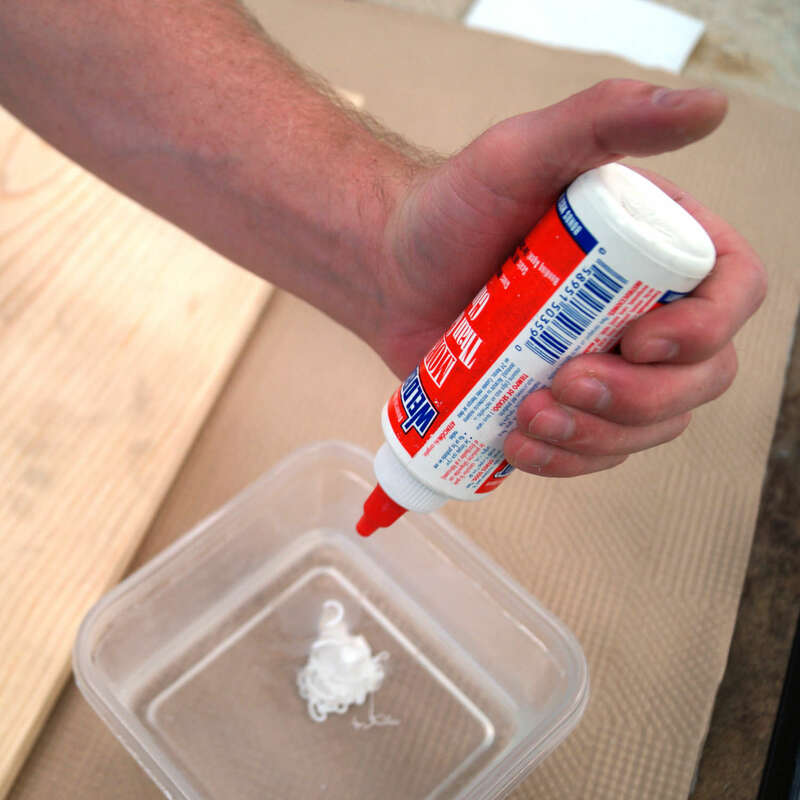 Mix the grout and water in a container. The mixture should be the consistancy of cake or brownie batter. 6. 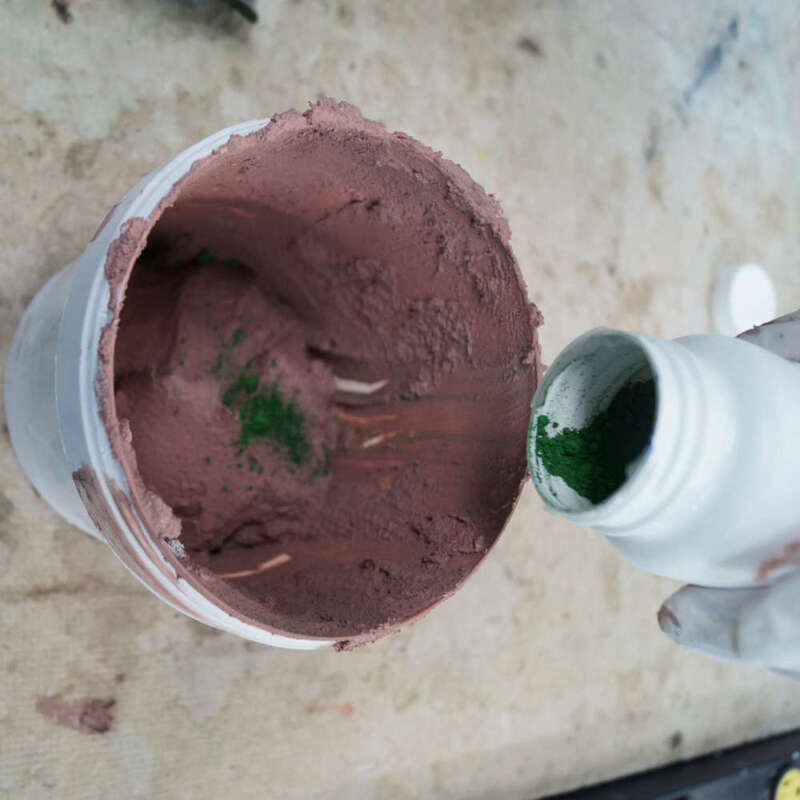 Separately stir a small amount of mixed cement with the desired amount of colorants into smaller containers for each color you wish to use. 7. 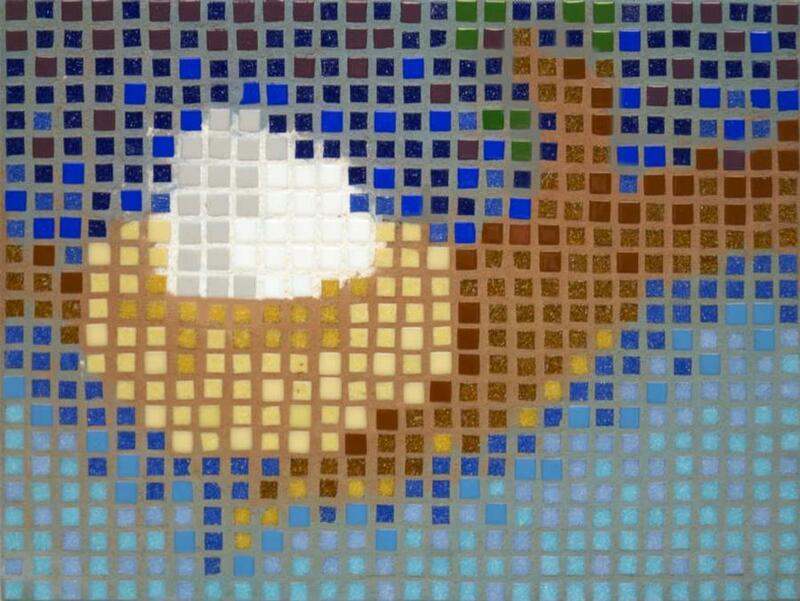 Work the grout into the gaps between the tiles. 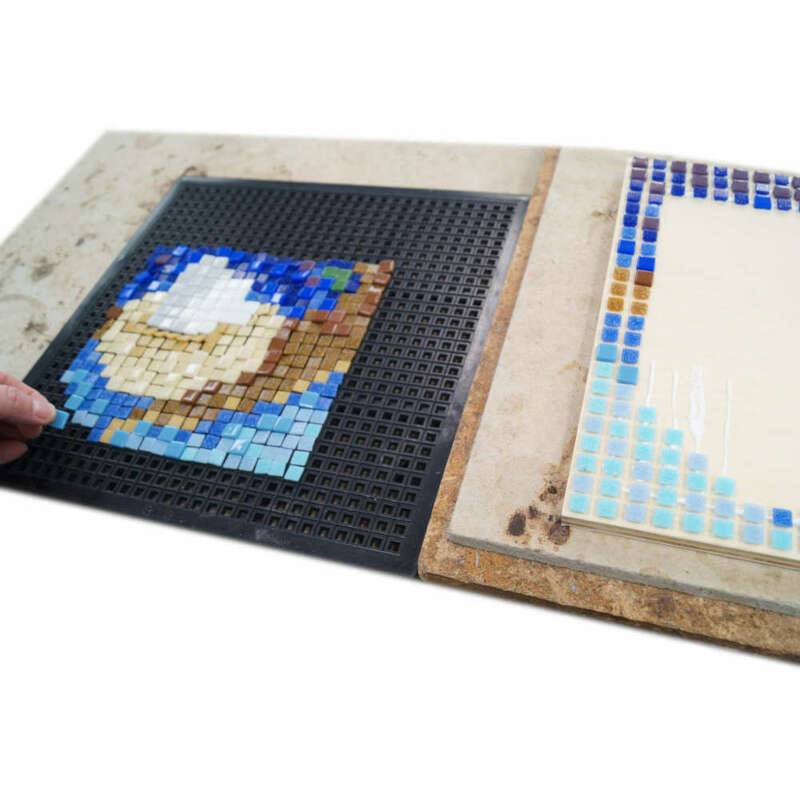 Delphi Tip: Where two colors meet make sure the grout is packed well, otherwise there will be a gap in the grout line when it dries. 8. Carefully wipe away the excess grout with a damp sponge.